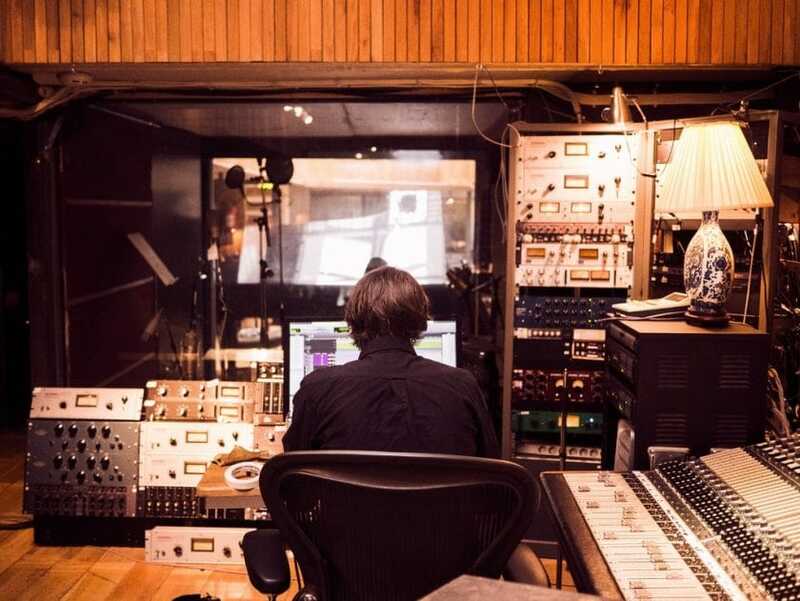 Home >> Advice >> What is Editing, Mixing and Mastering in a Recording Studio? If you have finished recording a song, EP or album, then you are ready to take your work to the next stage with editing, mixing and mastering. It is important to get a better understanding of what this is because recordings without editing, mixing and mastering won’t sound professional. This process can be hard to understand so hopefully we can clear things up for you. Editing, mixing and mastering are all different steps that are taken by mixing and mastering engineers in a recording studio after recording to improve the sound quality and make them sound professional. This can be expensive, but you’ll gain access to high-quality equipment and work with a team of experienced professional audio engineers. 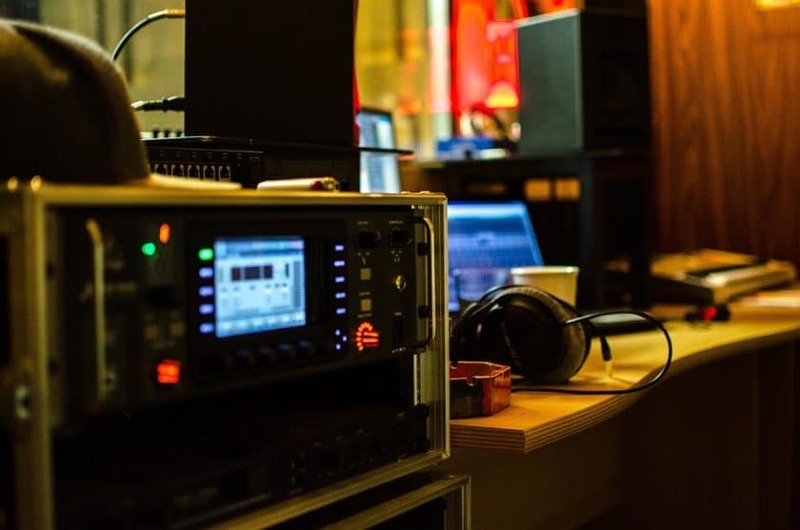 To make the most of the money you’re spending, here is some advice on what you can expect in a recording studio and how this relates to the editing, mixing and mastering process. 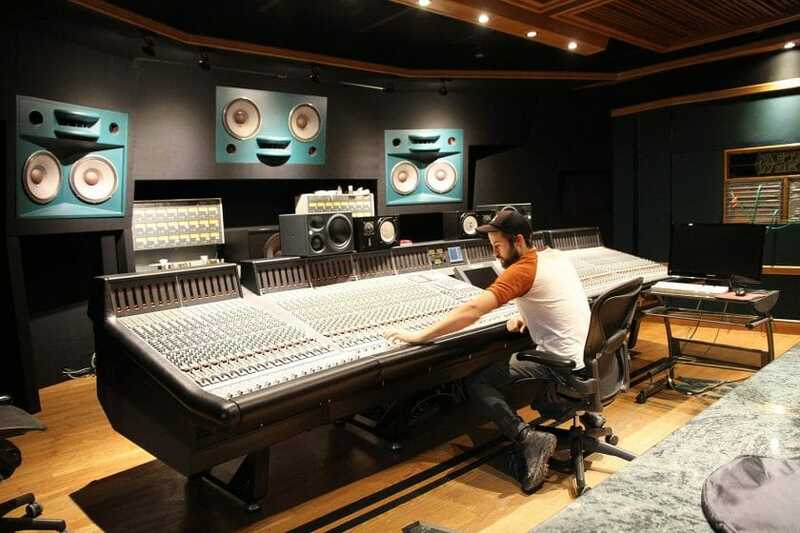 While studios can vary tremendously in size, a typical studio has a live room, an isolation booth and a control room, which is where the editing, mixing and mastering often takes place. Recording in a live room or isolation booth can affect the sound of recordings and affect the final product so it’s good to know the difference between the two. What is a live room at a recording studio? 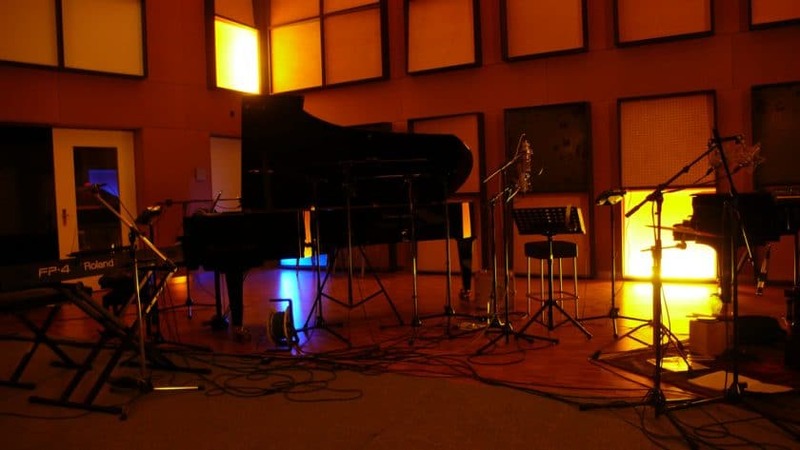 A live room is where vocals and instruments are recorded. The reason the room is separated from the main studio is so that the recording can be made in isolation without other sound interfering. A good live room will have a reasonable amount of acoustic treatment to reduce unnecessary reverb and ensure the best sound possible. The microphones and instruments will be connected to the main studio room via a Wall Box commonly known as a ‘snake’. Is it important to have a live room at a recording studio? It isn’t always necessary to have a separate live room. Some instruments such as bass and guitar can be plugged straight into the mixing board or soundcard. On occasions, vocals are recorded in the control room, but this is dependent on the size of the studio. Live rooms can be quite big and can accommodate multiple recording musicians at once. Some studios even have rooms big enough for a whole orchestra! However, there are some important factors you need to consider when recording in a live room. When multiple musicians are recording at once, the sound from one instrument, such as a drum kit, can end up bleeding into the recording of another, such as a vocal track. This recording spill from an instrument like a drum kit can be louder than the actual vocals if they are recorded at the same time. This can’t be changed through editing, mixing or mastering. It is important to make sure you only record instruments together if you really think it is necessary or if there is suitable acoustic separation. Examples of this could include recording a piano as you sing or recording certain instrumentalists together, such as the drummer and bassist. When recording in a live room, you should also consider the size of the room and how this affects the sound. Rooms have a distinct sound, try clapping in your bedroom and bathroom to hear the difference. Bigger rooms can often make a sound linger after it is produced, known as reverb. Reverb is the reflection of sound waves that can make a track sound more spacey. It can be appropriately added as an effect in mixing but can’t be taken out of recordings. Therefore, you should some individual instruments and vocals are often better suited in an isolation booth. Ed Sheeran performs his song “Give Me Love” in an exclusive recording session live at Hinge Studios in Chicago, IL for The Live Room on The Warner Sound. What is an isolation booth at a recording studio? An isolation booth is a small insulated room that has been designed to record a single instrument or vocalist. Isolation booths are acoustically treated to ensure the best recording possible. Acoustic treatment is used to either diffuse or absorb the sound so that the microphone doesn’t pick up any unwanted reverb whilst recording. Effects like this are easy to add in post-production, but difficult to remove if present on the recording. Most vocal booths tend to be smaller than a live room and are designed to eliminate the kind reverb found in larger recording rooms. They are perfect for recording vocals because the sound comes through cleanly and can be better edited afterwards. Isolation booths can also make your vocals more prominent because removing room reverb can make recordings sound less distant in the final mix. Isolation booths can also be used for guitars and smaller orchestral instruments. They can even be assembled and built in a live room with portable soundproof shields. Although it is much more effective to have a separate room, this could be an option if you are determined to record alongside other instrumentalists. Although isolation booths can lead to a better final recording, some studios have great sounding rooms that will make vocals and instruments sound amazing. It’s like how singing in the shower usually sounds better than in your room because the reverb sounds nicer. Hearing a high–quality recording of your voice can make you feel more confident and deliver a better performance, so it’s worth talking to your engineer about what they think the best rooms are for recording vocals. What is a control room at a recording studio? A control room is where the audio engineers and record producers will monitor and adjust the sound. This is the heart of a recording studio. It is where the main computer, speaker monitors and audio mixing desk or console can be found. If the studio has a live room or vocal booth, the cables will feed into the control room and connect to the mixing desk or soundcard. This is where the producer or engineer will do the majority of their work to the record. As mentioned earlier, a good control room will have a significant amount of acoustic treatment to enable the engineer to hear a flat response from the studio monitors. A computer is an essential part of the studio because you need to use recording software, known as a Digital Audio Workstation (DAW). Examples of these include Pro Tools, Logic Pro X and Ableton. This is where the sound is recorded onto tracks and it is also where editing, mixing and mastering happen. Speaker monitors aren’t big bassy hi-fi systems designed to make your songs sound amazing. In fact, they are designed for clarity and to reveal any kind of mistakes or problems with the sound. Don’t be concerned if the recording through the monitors don’t sound amazing at first because if an engineer can mix it to sound good on these speakers, they’ll sound great on everything else! A recording console can sometimes be the centerpiece of a studio, in some studios, it can be the most expensive piece of equipment. It processes the sounds that are recorded in the live room and has sliding faders for each track to make audio mixing more intuitive for the engineer. Famous consoles made by Neve and SSL can boost a studio’s profile because they instantly help a recording sound great through its processing. Finally, some studios will have something called outboard gear in their control room. These are pieces of equipment in a rack that helped engineers mix and master sound before computers. Many audio mixing effects on a computer are designed to mimic famous outboard equipment but many engineers swear that a computer simply can’t do as good a job as vintage equipment. You need to make sure your recordings are at their best to get the most out of editing, mixing and mastering. We have already talked about recording spill and how this can hinder the process so here is some more advice on how you can avoid this issue. 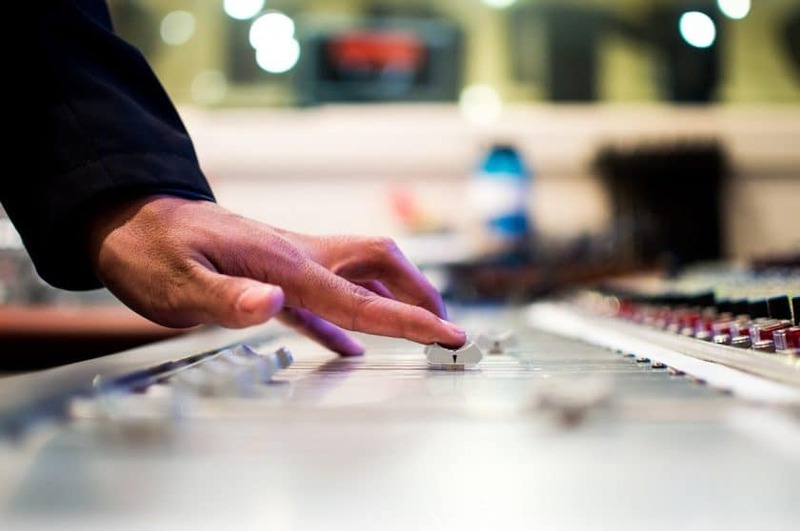 Recording studios commonly use a multitrack recording process, which involves recording each instrument separately and will later be combined in a process called a “mix”. By recording each sound source independently, engineers have a greater freedom to play around and optimise each instrument or the vocals without affecting anything else. It will also serve to enhance the quality of each element in the song, allowing you to dedicate your full focus on each singular instrument or vocal recording. It drastically minimises potential error as each sound source will be carefully chosen and combined for the final song, known as comping. Also, imagine if you get the perfect vocal take but another instrument makes a horrible sounding mistake. This can come through on the take and ruin the otherwise perfect recording so it’s best to keep things separate. Editing the audio simply means cleaning the recording up: removing any unwanted noises, cutting out or moving sections of songs that you may feel no longer fit where they were originally placed. The extent of this phase is entirely dependent on how fruitful your recording session was. An engineer will also go through the takes and sometimes combine them to get the best overall performance, known as comping. An engineer can also go through takes and adjust timings to ensure all instruments are perfectly in time with each other, resulting in a tighter recording. Recording studios will often charge by the hour so in order to save yourself any needless expense, try to keep the editing process to a minimum by coming to the studio well-rehearsed and with a clear vision. Make sure that you re-do any parts that you’re not satisfied with. Re-recording a section is often done much faster than fixing any mistakes later in the process. This is the step in which all layers of audio are ‘mixed’ together and technically processed to create the final track. This process has a high amount of creative input and can result in the original recordings sounding completely different. When mixing, it is always useful to have reference tracks so that the engineer has a clear understanding of your vision for the record. The keywords you will probably hear related to this are EQ (equalisation) and compression. This is where processing gets quite technical but put simply, it helps different tracks sound better together. Compression, which reduces the ‘dynamic range’ between the loudest and quietest part of an audio signal. These effects and more enable the sounds to blend better in with each other in the mix. EQ can adjust the bass, mids and treble (or high end) sound frequencies of different tracks. It is important that the EQ is balanced across the whole recording because too much bass can reduce the clarity of everything else and too much treble make a recording sound thin. Compression is used to balance the volume of a track. For example, if you are singing verses quietly but shouting your head off for the chorus, there is going to be a big difference in volume. Without compression, you won’t hear the verse and the chorus will be too loud, so it reduces the dynamic range, making the quiet sounds louder and louder sounds quieter. While the mixing process is like putting all the puzzle pieces of your song together, mastering will give your song the final polish. This step involves optimising the overall sound of your track by making stereo enhancements and adjusting overall song to ensure it is clear to the listener. Mastering mainly involves ‘EQ; ‘Compression’ and ‘Limiting effects, the main purpose of this process is to ensure the record sounds good on all devices that it is played on, be it a club, car stereo or headphones. Whilst mixing balances the frequencies and volume of all the individual tracks together, mastering looks at making the final mix sound clearer, louder and more professional. Mastering engineers use high-quality equipment to refine the smallest details and make the biggest improvements. Mastering tends to involve the use of expensive outboard compressors and equalisers a lot more than mixing and requires great ears to hear the subtle differences. More often than not, this process is done by a third party, who is not close to the project, has fresh ears and owns specialist mastering equipment, hence why mastering services are usually offered separately. Some artists who record by themselves choose to skip this step as it requires extensive technical knowledge, but many argue that it is the most important step in making your record come together and stand out. Don’t be afraid to ask engineers questions when you’re in the studio find out how they got started. You might find that you’re more fascinated by the mixing and mastering process than anything else and I’m sure other engineers would be happy to help you. 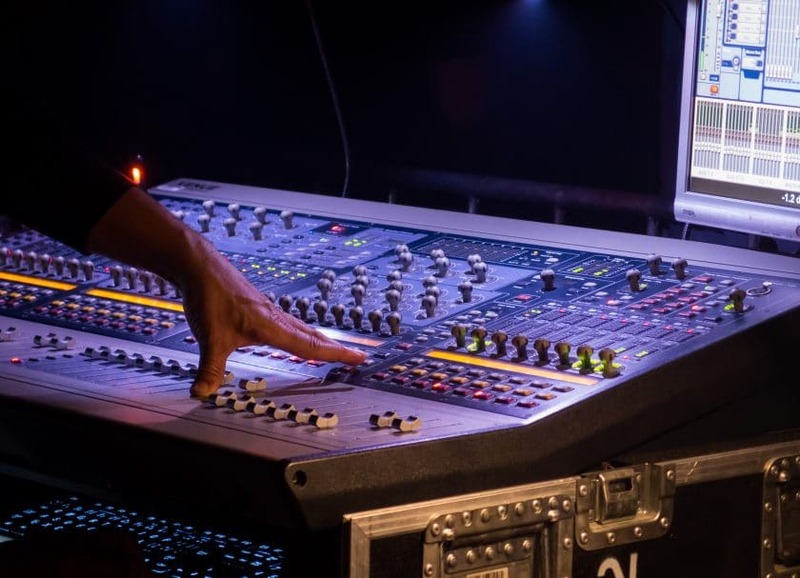 There are also great resources online, such as music technology magazine Sound on Sound and esteemed mix engineer Dave Pensado’s YouTube channel called Pensado’s Place, which has some great interviews and advice. Sometimes the music industry and audio engineering can seem to be a very male-dominated industry. However, there have been some really talented and successful women who have been changing the game and helped make some great music in the process. Studied Audio Engineering at a school in Florida and after interning at the Hit Factory, became an assistant engineer and eventually mixed for Timbaland, Britney Spears and Missy Elliott. A British multifaceted engineer who also works as a producer and songwriter for Little Mix, Kelly Clarkson and James Arthur. She also offers an internship for aspiring female engineers in the UK. Alicia Keys’ longtime engineer, she set up her own Jungle City studios in New York and has worked with heavyweights like Drake, Jay Z and Mariah Carey. – Frank Barretta, Studio Manager at Angel Recording Studios, Islington, London. Have you made music in a recording studio? Post your tracks and where you recorded in the comments below.